As Turner’s Vice President of Community & Citizenship, Stephanie’s core responsibility is to implement programming that will assist in the development of New York’s construction Minority/Women Business Enterprise community that will better position them for opportunity and growth. Additionally, Stephanie is responsible for strategic planning to develop the pipeline of students that enter the STEM fields of study and ultimately become an integral part of the construction and engineering industry. To achieve this, Stephanie leads almost 1,000 staff members by navigating where they can be most effective with the New York landscape to support Turner’s commitment to the community. Some of the initiatives to develop the pipeline of students where Stephanie has most effectively engaged her staff are Turner’s YouthForce 2020 Educational Program K-12, Young Women on the Horizon, Adopt A school and YF Scholarship programs. Additionally, Stephanie has created various Corporate Educational Partnerships inclusive of ACE, Eagle Academy Foundation, the Turner+Pratt Collaboration and numerous other initiatives. Knowing the importance of keeping employees active in the communities where Turner builds Operation Giveback volunteerism program was created under her tutelage. The program serves over 1,000 employees which embodies altruism and all employees participate in a wide variety of unified, outreach events. Additionally, Stephanie engages the Turner subject matter experts to provide training to the MWBE community as a part of Turner’s nationally renowned Turner School of Construction Management (TSCM). 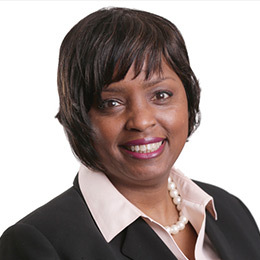 For over 20 years, Stephanie has been instrumental in organizing and leading the effort to provide training to New York’s MWBE community through its TSCM with core subject areas such as: Estimating & Bidding, Marketing, Scheduling, Project Management, Safety, Field Operations, Project Financing, Accounting and others. With over 20 years at Turner Construction Company, Stephanie V. Burns has been a mentor, an advocate and most importantly a role model for many young women and encouraging them to seek positions in the construction industry. That passion and commitment led Stephanie to start and lead Turner’s “Mark Your Mark” Employee Resource Group that focuses on recruiting, retention and the professional development of women within the company. Stephanie represents Turner at all minority and small business conferences addressing issues and concerns relating to contract procurement opportunities and workforce participation. Through her efforts Turners awards over 20% of its contract work annually to minority and women-owned businesses. She is an active member of the BTEA MWBE Leadership Council, Women’s Builders Council, Vice Chair, YMCA Board Member and New York Women Chamber of Commerce, Board Member. Stephanie, has received numerous awards and honors for her work in the industry.